The Maryland Department of Natural Resources has announced the results of its deer management efforts and inaugural managed hunting program at North Point State Park in Baltimore County. The two-part program, comprising a limited archery hunt in November 2018 and a two-day shotgun hunt in January 2019, helped reduce the deer herd, which in turn will conserve habitat for birds, small mammals and other non-game species on the peninsula. Department officials report that 20 deer were harvested by archery hunters and an additional 36 deer shotgun hunt. More importantly, no accidents or injuries were reported during the two managed deer hunts. 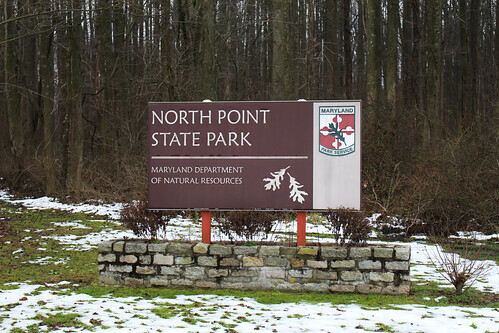 The new hunting program at North Point State Park received significant support from the local community and their representatives with the Maryland General Assembly. Delegates Robin Grammer and Bob Long were actively involved in the implementation process, working closely with department officials to craft the final program and scheduling community meetings to announce the proposed hunts. Due to strong and vocal local community support and the ongoing need to effectively, responsibly and safely manage the deer population on North Point Peninsula, the department plans to continue the archery deer hunting program in the 2019-2020 statewide deer season, which runs from early September to the end of January. More information, including dates, license and permit requirements, and the reservation process will be available in the department’s 2019-2020 Guide to Hunting and Trapping in Maryland.